Bali Guide: Where to Stay and What to Do? Whether you travel to Bali for holiday or for a longer stay, you cannot miss our guide with tips on where to stay and what to do. Bali is Indonesia’s most popular tourist destination and gets millions of visitors each year. What’s so special about the “Island of Gods”? It offers something for everyone. Whether you want to unwind on a pristine beach, catch a wave break, stroll along boutique shops, go temple hopping, join a first-class yoga retreat or just relax at your luxury villa. Bali has it all! It’s an island with several destinations that everyone will experience differently. Bali has year-round pleasant temperatures due to its position near the equator. The wet season however – from October to March – typically experiences some heavy rainfall and high levels of humidity. December, January and February are extra rainy but despite the rain, the Christmas and New Year’s period is extremely busy and you will end up paying much higher accommodation rates. Many tourists will be gone by mid-January and rates will drop considerably, which makes end of January end February one of the cheapest months to travel to Bali. Bali’s most touristic and crowded area. The party scene dominates the streets and beaches and attracts thousands of young and old travelers seeking for a vibrant nightlife. Seminyak is an extension of Kuta & Legian yet much calmer and filled with upscale boutiques, art galleries and Insta-worth eating spots. Check out Café Organic for an all-day breakfast or a mouthwatering smoothie. 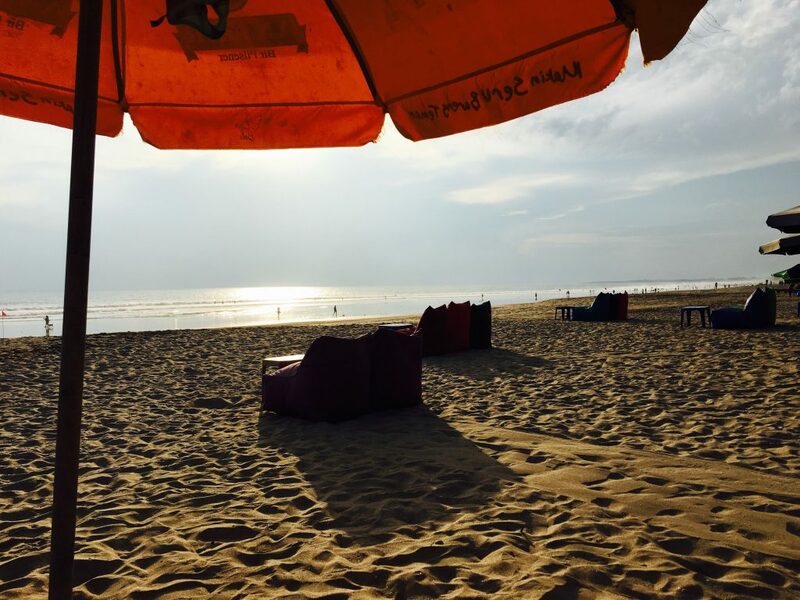 Stroll along the wide beach and enjoy a perfect sunset with a cool Bintang. 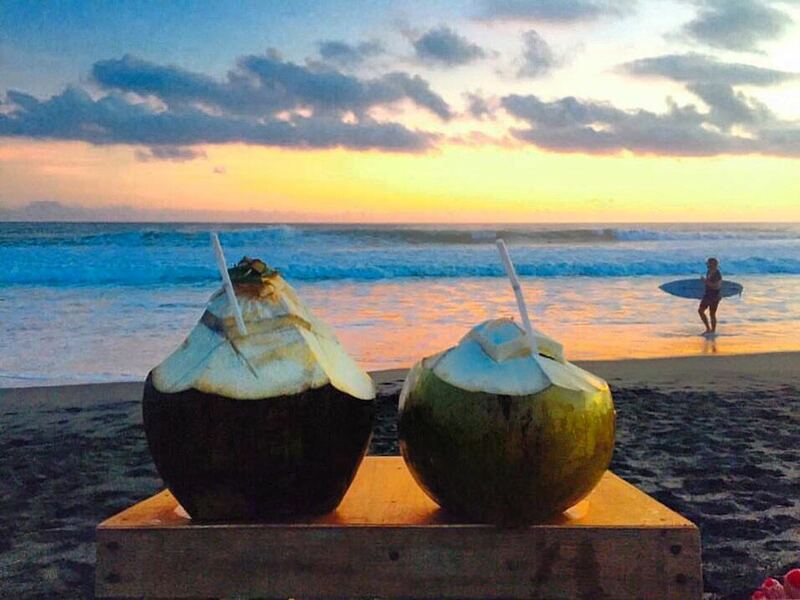 Canggu, between Seminyak and Tanah Lot, features black sand beaches with lots of surf breaks and a green countryside full of rice fields. It’s popular with surfers and expats and you’ll find lots of stunning villas. Bali’s eastern shoreline has become a favourite amongst divers. The hotels in Amed beach serve as a perfect base to discover the USS Liberty shipwreck at neighboring Tulamben and the Japanese World War II shipwreck at Banyuning. You won’t regret an excursion with Euro Dive. Sanur, at the opposite side of Kuta, is Bali’s earliest coastal village. It’s a family-friendly area that combines some Western establishments with a local touch (the beaches and warungs can get very crowded by locals on Sundays). You’ll find some of Bali’s first beach resorts but also nicely decorated Balinese villas. We love to start our day with a yoga class at Power of Now Oasis followed by a fancy breakfast at Dusk Blue or Soul in a Bowl. Nusa Dua is Bali’s ultimate 5-star resort destination. This is the ideal place for families looking for an all-inclusive holiday or for honeymooners who want an exclusive stay in a villa with private pool. Uluwatu is home to an incredible coastline featuring many world-class surf breaks that attract surfers from all over the world. 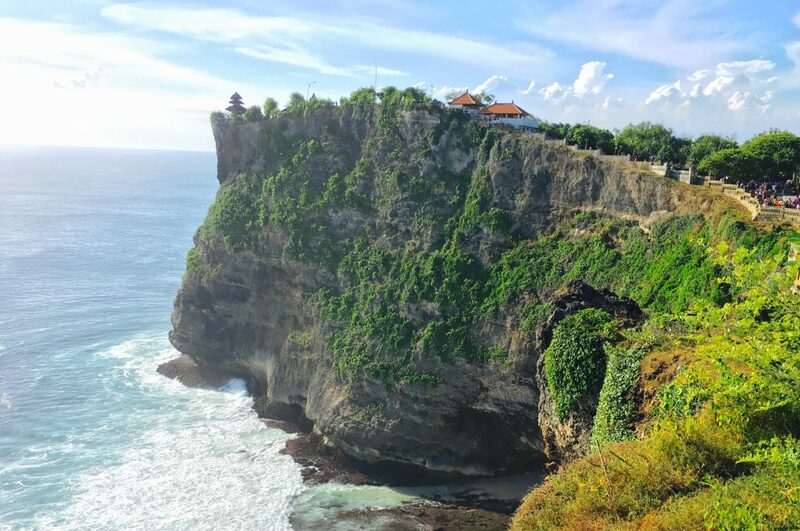 Even if you’re not a surfer, you should go to the south-western tip of Bali to visit the Uluwatu temple, overlooking the ocean from a cliff. Watch sunset with a delicious tapas dinner and live DJ at el Kabrón. 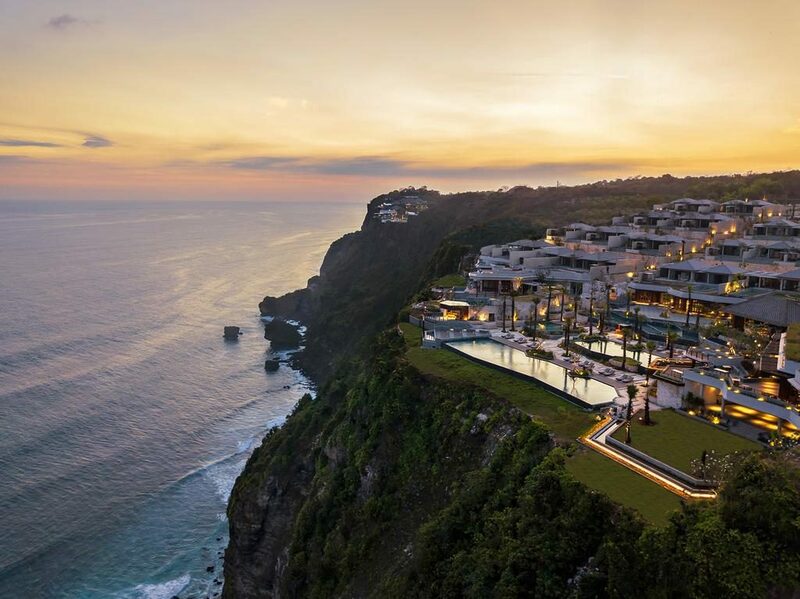 One of the top-resorts in Uluwatu is the new Six Senses Uluwatu, a cliff-top Balinese-inspired resort with ocean view. An absolutely incredible place to stay with great attention to detail and a super level of service. Jimbaran is a fishing village located south of the airport with some world class 5-star resorts and luxury villas. Stay at Jamahal Private Resort & Spa, an adult-only boutique resort just 400m away from the beach. Jimbaran’s beach offers the perfect setting for a romantic sunset dinner or for any seafood lover. Enjoy a fine dining experience at Cuca Restaurant. Last but not least… Bali is not all about beaches! 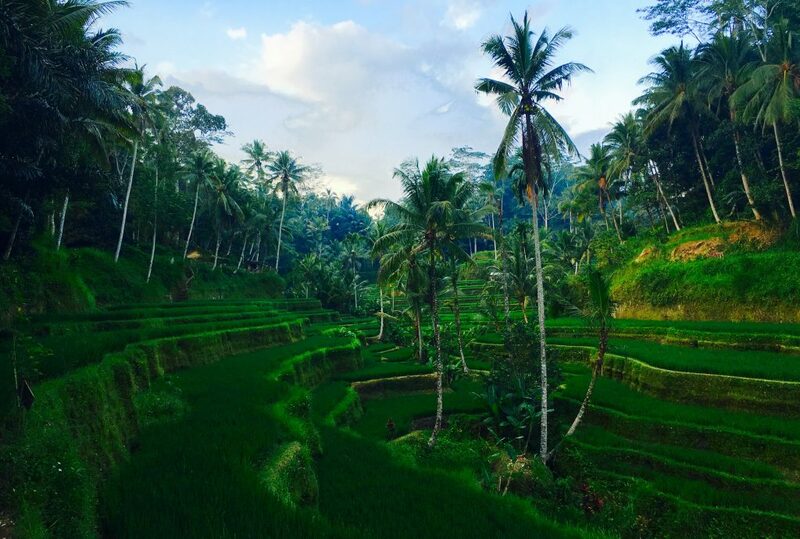 In the centre of the island, within the rainforest and the rice terraces, lies Ubud. Bali’s cultural heart is an absolute gem for nature lovers, yogis (join one of the many classes at the Yogabarn) and digital nomads. 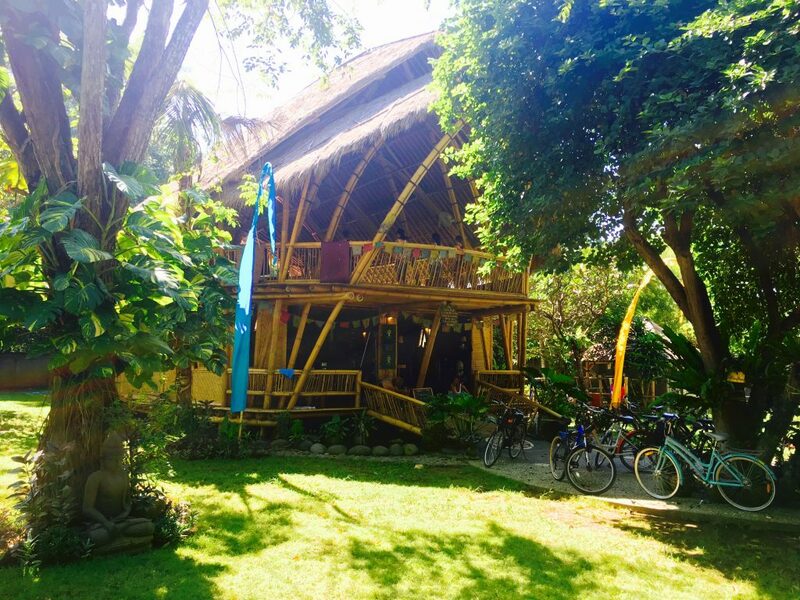 If you’re looking for a working spot with reliable internet connection, try Hubud, a great co-working space right in front of the monkey forest. Have dinner at the social restaurant Fair Warung Balé or head to Hujan Locale for an Asian dinner with modern twist. If you’re lucky to stay long enough in Bali, make sure to discover some neighboring islands like Lombok, located at the east of Bali. Hiking the Mount Rinjani is the most popular tourist attraction and definitely a must if you’re in for a bit of adventure. Take Lombok as a base to go island hopping around the Sekotong Islands. Many beaches in and around Lombok only have a fraction of the tourists that receives Bali. 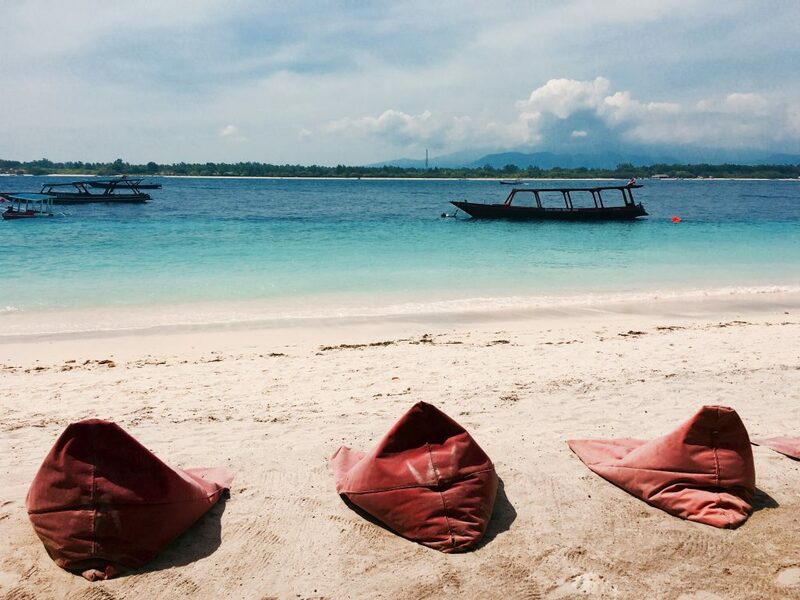 Even if you’re on a tight schedule in Bali or Lombok, try to include a short stay at the Gili Islands. 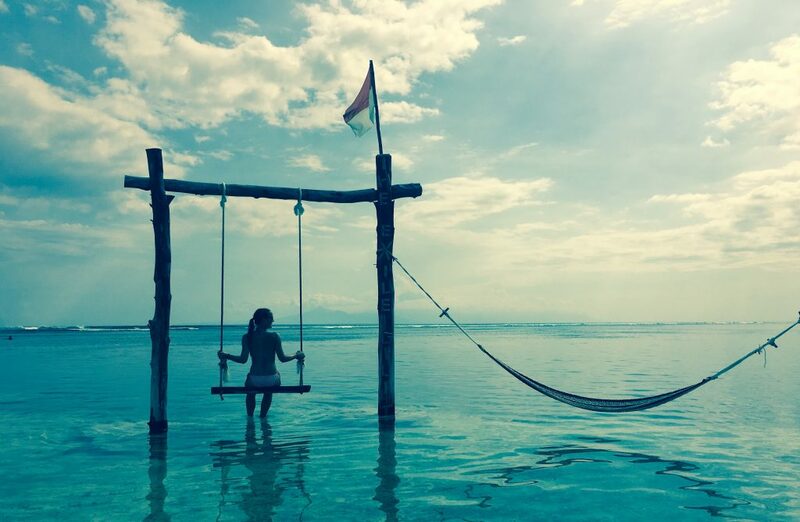 Gili Trawangan is the largest and most visited of the three islands, Gili Air is the closest to Lombok and popular with backpackers while Gili Meno is the smallest of the three, offering an ideal destination for romantic getaways. Cars and motorbikes area forbidden on the Gili Islands which pretty much explains the vibe here; happiness is all around as well as cool beers and nice bars. Or, you can take a 45min ferry to Nusa Penida, an island located southeast of Bali. 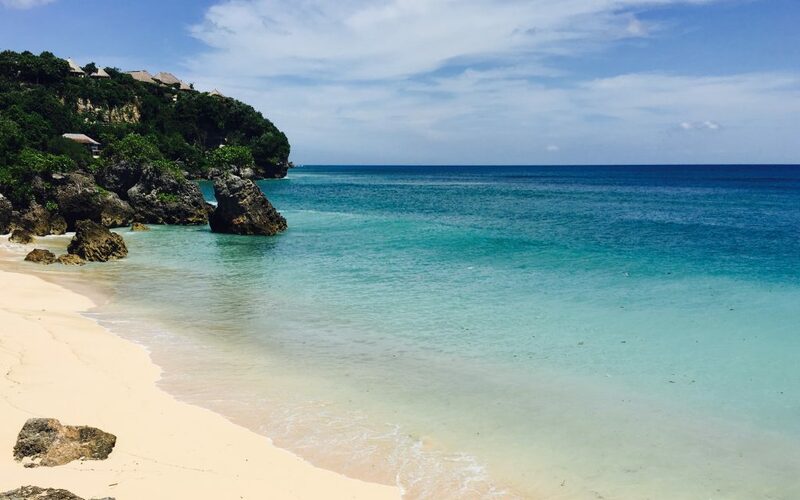 With its 247 squared meters it’s much bigger than the neighboring and better known island Nusa Lembongan. Tourist infrastructure in Nusa Penida, however, isn’t as developed as in Lembongan although this will change quickly as there are construction works everywhere. Get our full guide on Nusa Penida and explore this wonderful island now before the tourist crowds arrive! We’ve stayed twice in Bali for a long period, in 2016 and 2019. We love the island, its culture, people, food, beaches and vibe. At Your Way To Travel we’ve helped many travelers – from solo travelers to honeymooners – to organise their trip to Bali. Are you visiting Bali soon? Contact us for more information.